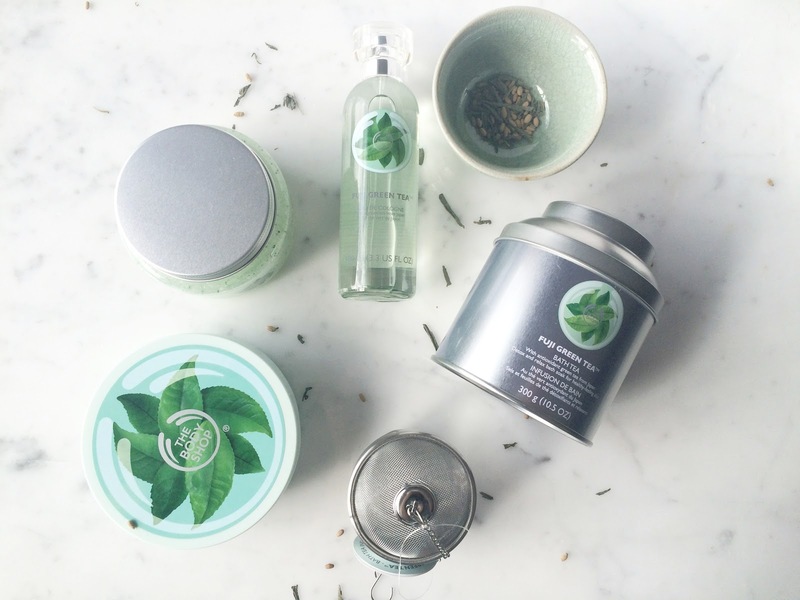 Being a green tea lover, I am excited about the new The Body Shop Fuji Green Tea line! As the name already says, the core ingredient of this new line is green tea which is handpicked from the Mount Fuji region in Japan. It's widely known that green tea contains antioxidants, and also a detox effect on the health and is also used for more than 400 years at social and cultural activities, under which is Japanese tea ceremonies. 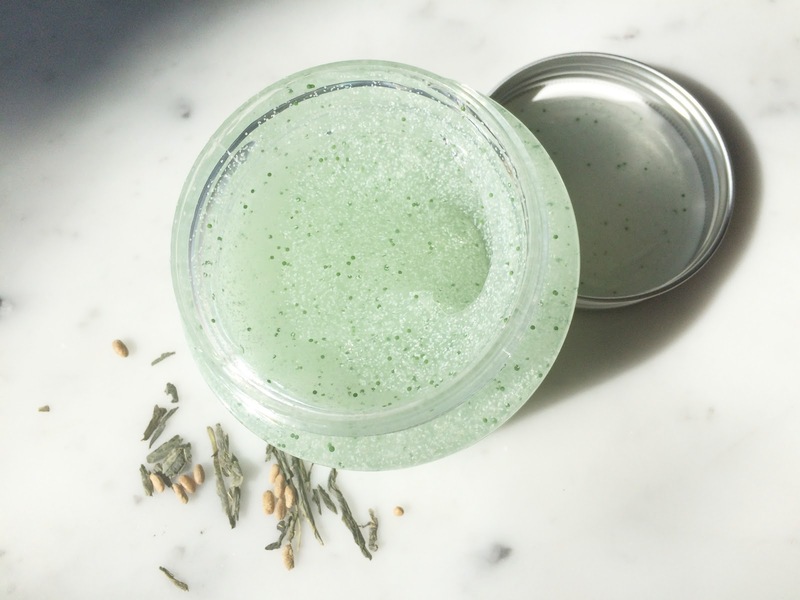 This line is inspired by Japanese women who use green tea as part of their beauty rituals for face and bath, because it helps to keep the moisture and reduce the pores. 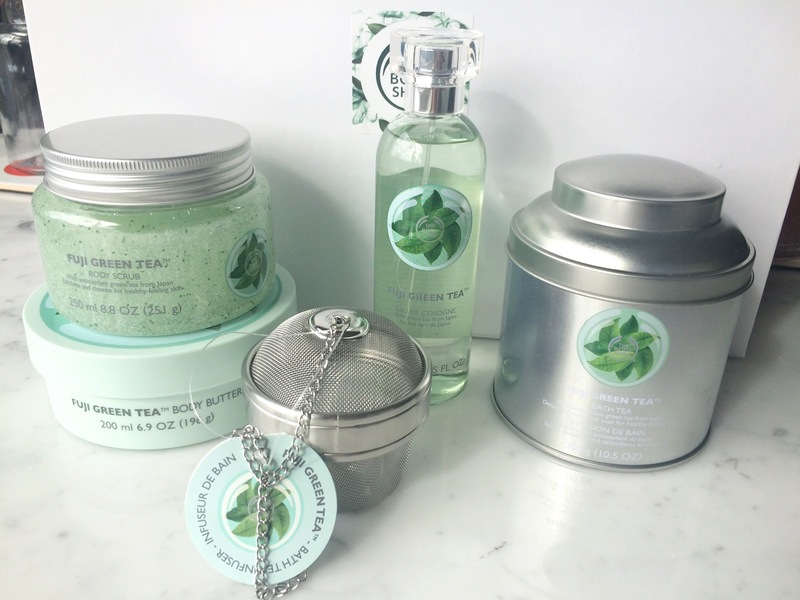 The Body Shop used this knowledge and developed the first Body Care line with real green tea leaves, named Fuji Green Tea line! This line is to hydrate and to refresh the skin. I have received 5 Fuji Green Tea products and I will be reviewing them. I start off with a product that I have never seen before and am really excited about! A new innovative product: a tea for in bath! How cool and relaxing does that sounds! It contains antioxidant green tea from Japan. For detox and relax bath soak for healthy-feeling skin. 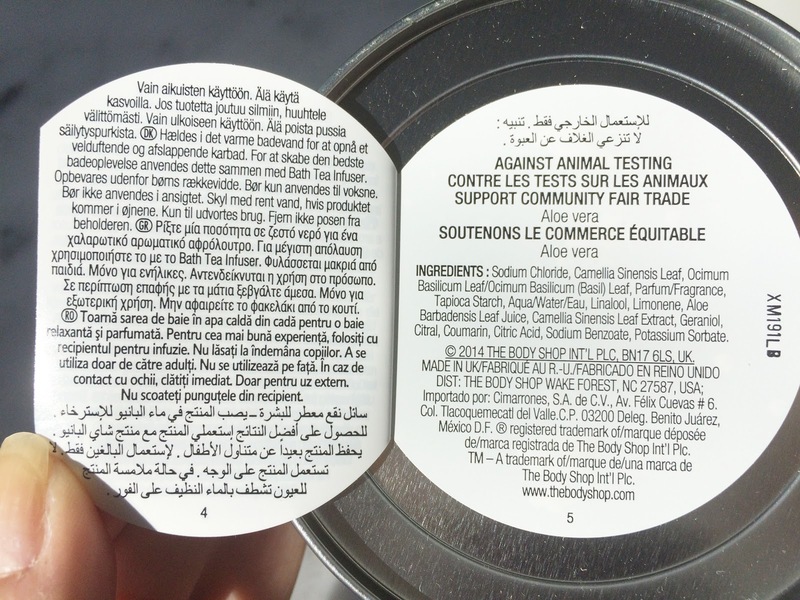 Containing bath salt, camellia leafs, basilicum leafs and community fair trade ingredient aloe vera. The container is also really pretty and re-useable. The characters are 'green tea' in Chinese. 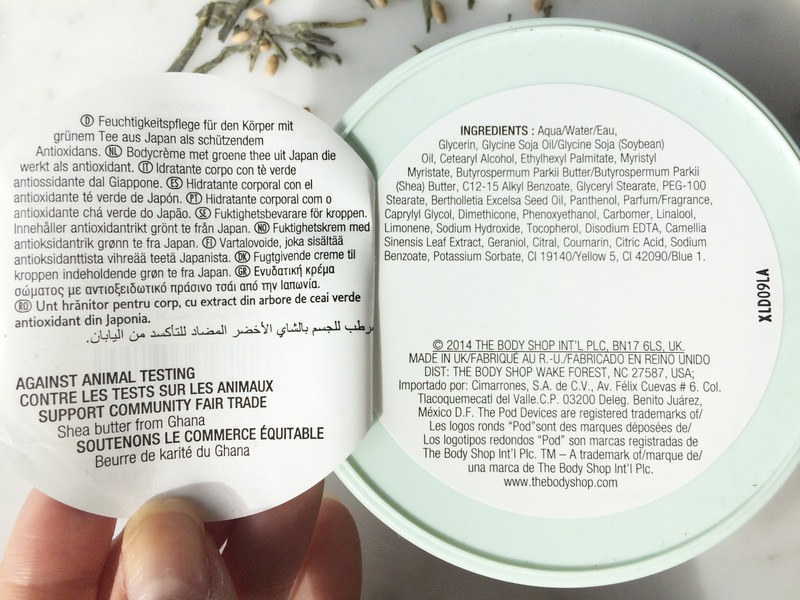 What I find so good about it is that they didn't just stick with ingredients such as green tea, bergamot and camellia (core ingredients of this line), but also experiments with other ingredients such as basil and aloe vera, which gives a twist to the scent! 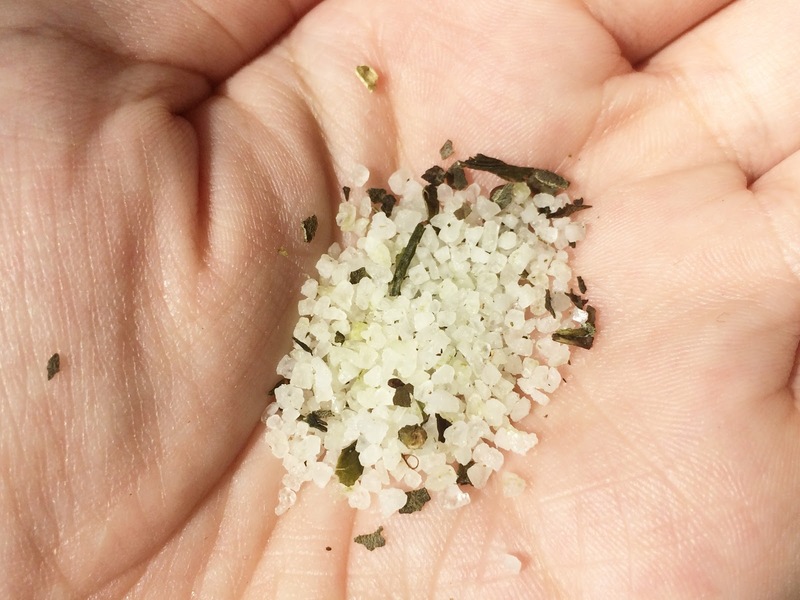 Here you can see coarse salt with different green leaves mixed in it. 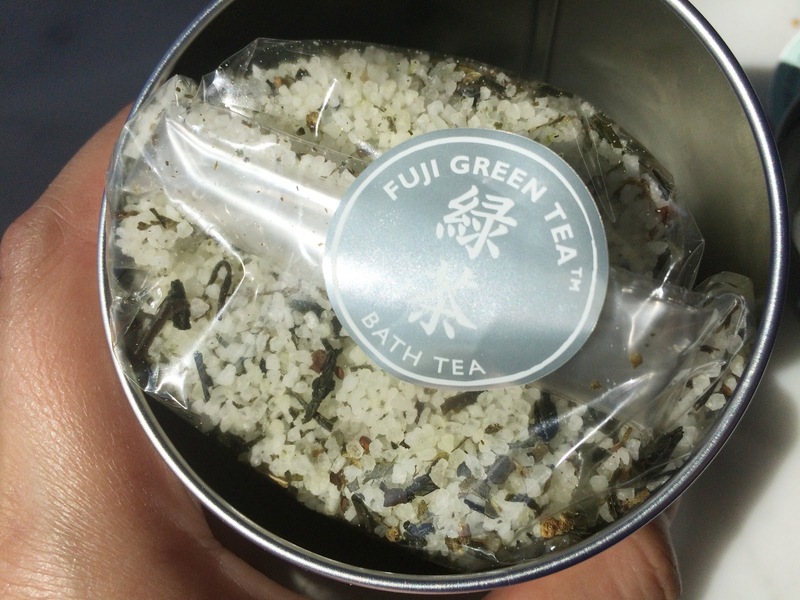 Together with the Fuji Green Tea Bath Tea comes the Bath Infuser. 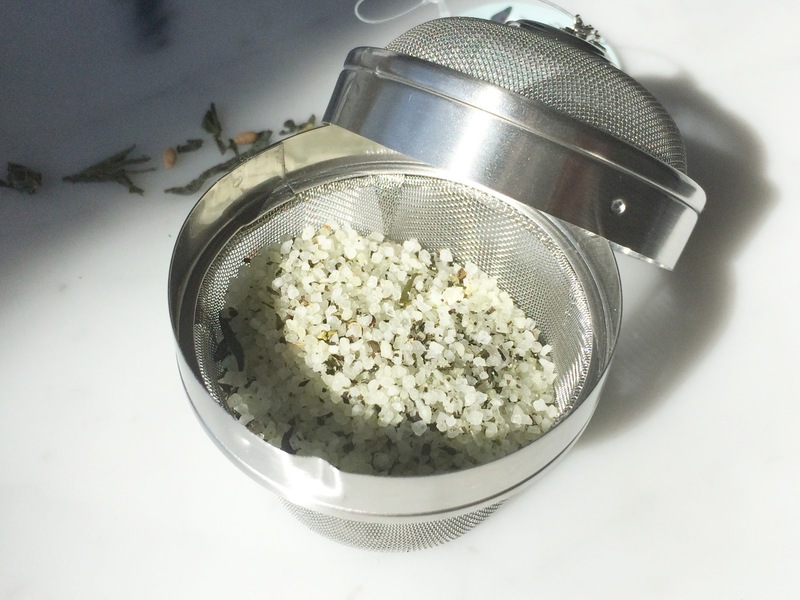 It helps evenly diffuse Bath Tea for a mess-free, relaxing soak. It kind off looks like a tea diffuser, but only bigger. It also has a metal strap for you to hang it somewhere in bath or use the string to swirl it around in bath. You need to swirl around warm water for a mess-free, fragranced bath soak. 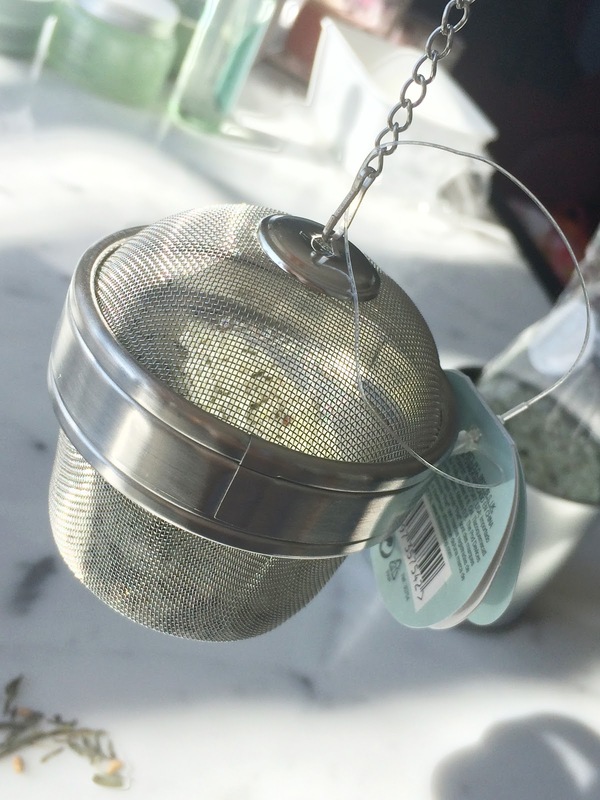 After use you can throw away the used Bath Tea and rinse infuser thoroughly and let it dry. For the tea bath: I filled the infuser fully with the Fuji Green Tea Bath Tea, put the cap on it and swirled it around in my bath. The coarse salt dissolved really quickly in the water and the water became softer and turned after a while into a very very light green sheen. To be honest, I was a little bit disappointed about this Green Tea Bath Tea or maybe I expected too much, but as strong and as good the Bath Tea smells on its own, the scent didn't come through in the bath unfortunately. The scent was minimal present. Then I filled the infuser again with the Bath Tea hoping for more scent, but the scent didn't get stronger. After bathing I didn't have a clean feeling. Often when I go to bath, I wouldn't wet my face with the bath water and especially foam because I get a feeling that it's bad for my face or my skin might react to it. But because of the natural ingredients and fresh scent I wasn't afraid to soak my face with it. I get the same feeling as in bathing in a spa. I would say that this is more of a spa treatment to really detox and relax your body and mind and I would recommend to take a shower afterwards to feel clean. 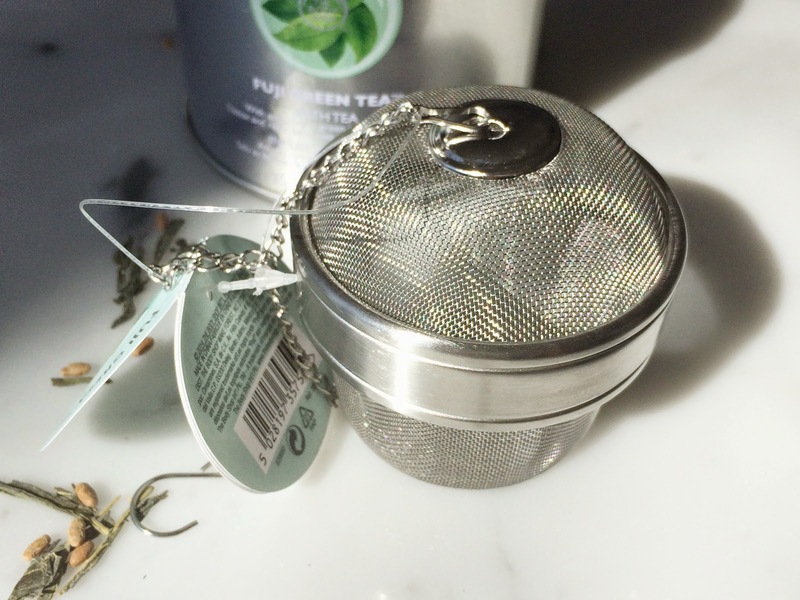 On the positive news I really the infuser which is fun and innovative and I think you can make your own tea bath by putting your own tea leaves and other ingredients in it. 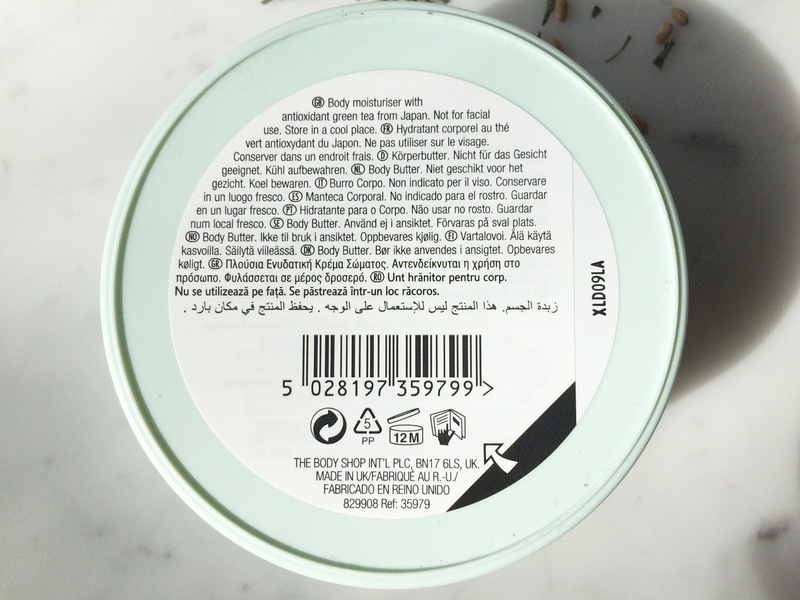 This Body Scrub contains antioxidant green tea from Japan. It exfoliate and cleanse for healthy-feeling skin. I really like the packaging and colour. 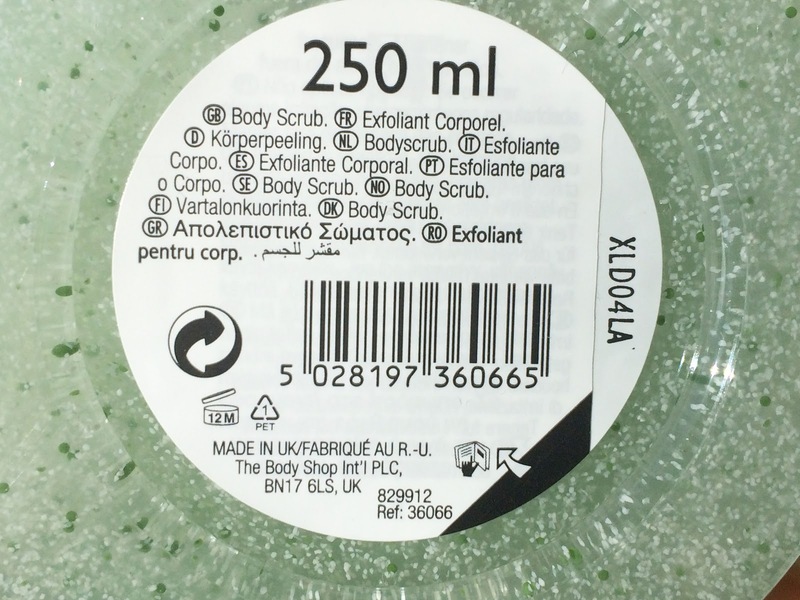 The Fuji Green Tea Body Scrub contains more product (250ml), compared to the Body Scrub line (200ml), hence the price difference of €3. The list of ingredients. 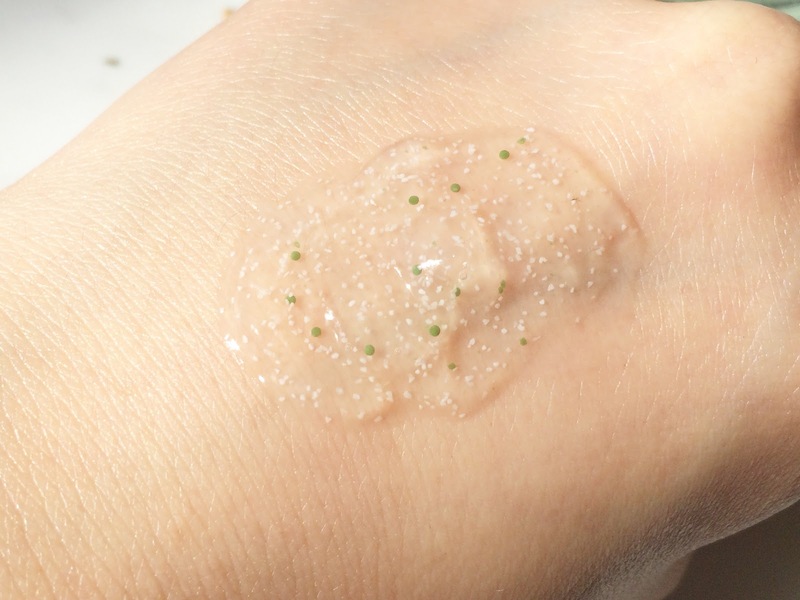 No micro beads! 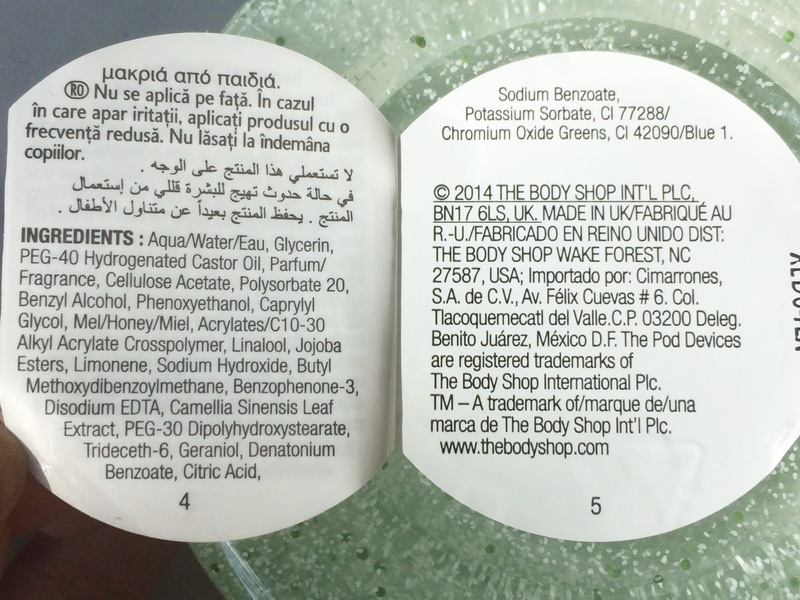 The little white beads are cellulose and the small green beads are jojoba esters. This is what the scrub looks like! It looks like a transparent jelly, with little white and green beads. Again the smell is like green tea, bergamot and camellia, but more stronger than the Body Butter. 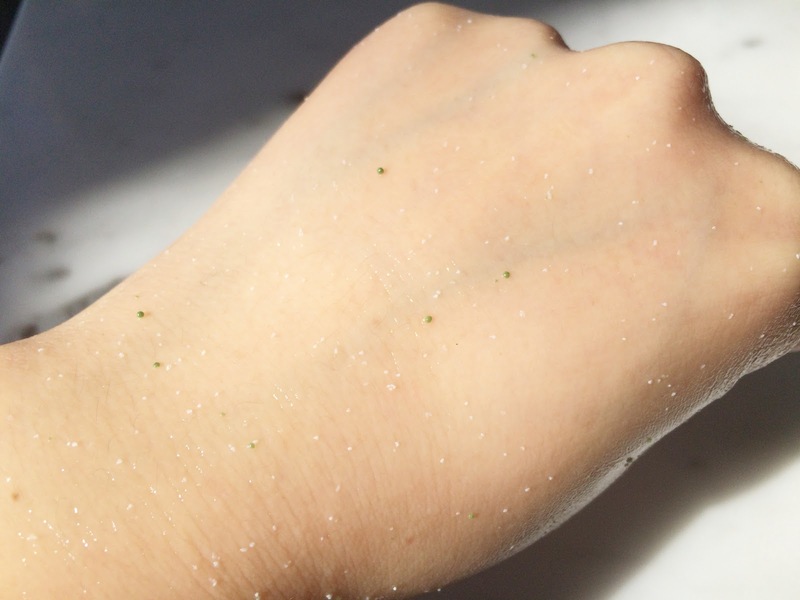 Here you can see the cellulose (little white beads) and jojoba esters (little green beads). Both ingredients are doing the exfoliation job. 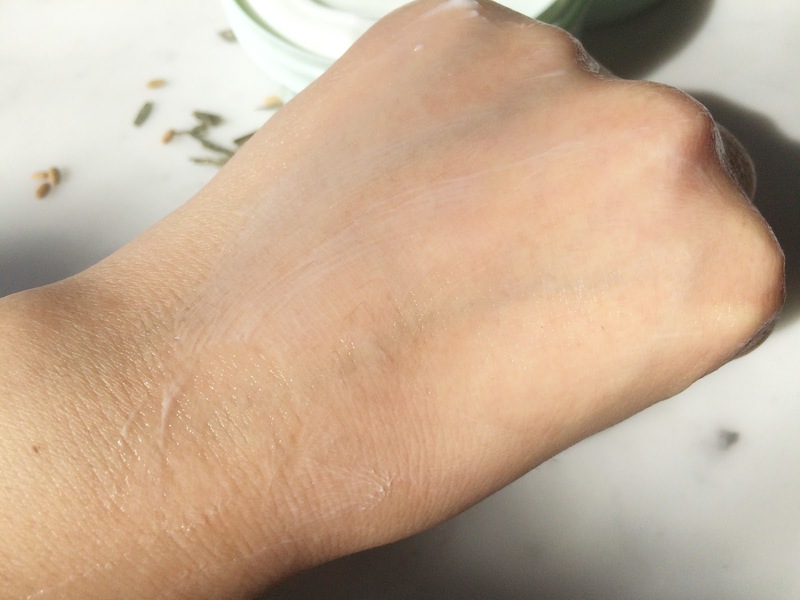 I tested the Fuji Green Tea Scrub after the Bath Tea and I'm really liking it. 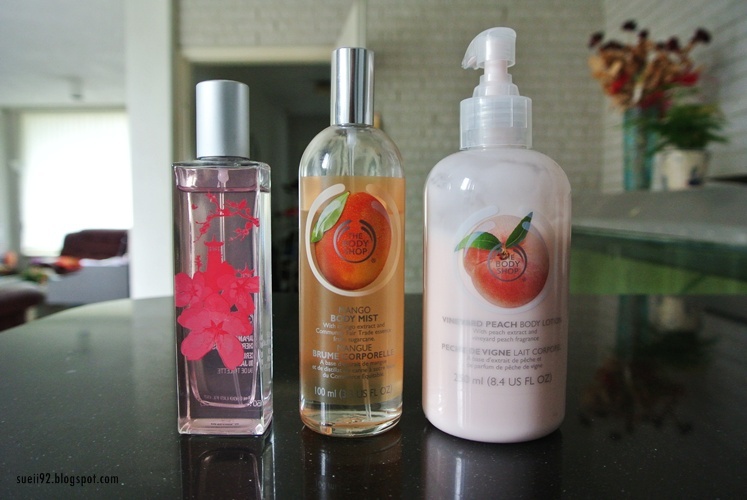 I love the fresh scent and the fact that product is doing its job. It's not a harsh scrub, but a good scrub which leaves your skin smooth and clean. 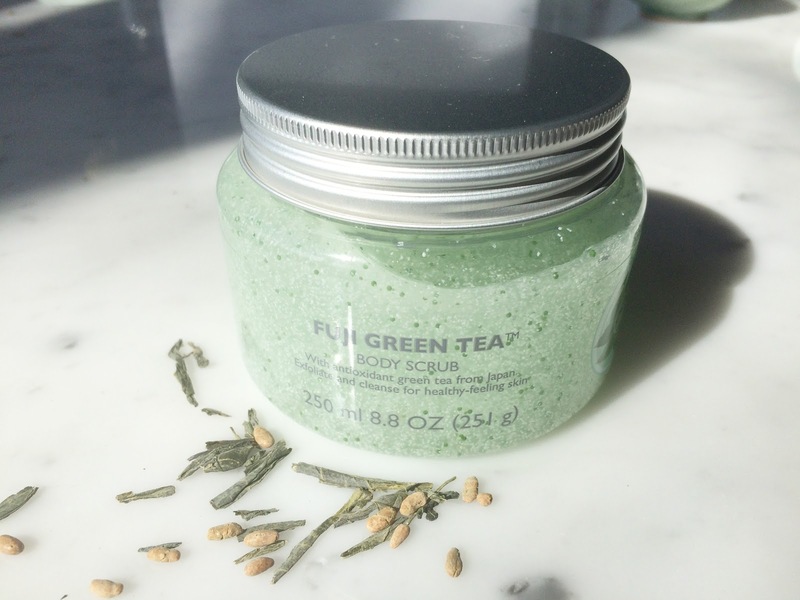 A little goes a long way with this Fuji Green Tea Scrub. This product is an extension of the Body Butter line and has the same look, feel, price and quantity. 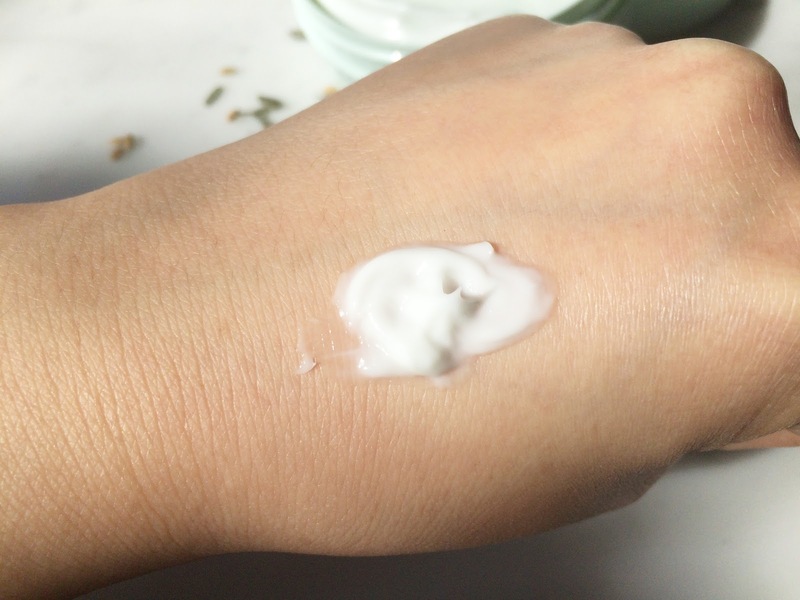 It's a body moisturiser with antioxidant green tea from Japan. Here is the list of the ingredients. 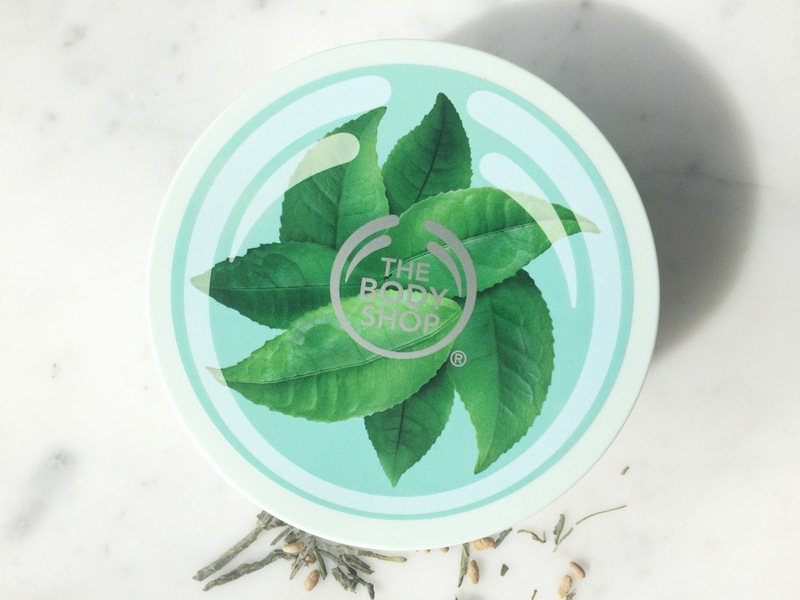 The Body Butter has a light, creamy texture and it's easy to spread out. It has a light and refreshing smell. It smells like green tea, bergamot infused with camellia. Really fresh like green tea, citrus like bergamot and flowery like camellia. After I took a Tea Bath, I scrubbed my body with Fuji Green Tea Body Scrub and moisturised it with the Fuji Green Tea Body Butter. The consistency is really light, creamy and thin and it does take a little time before it is completely absorbed. It feels more like a lotion rather than a butter. 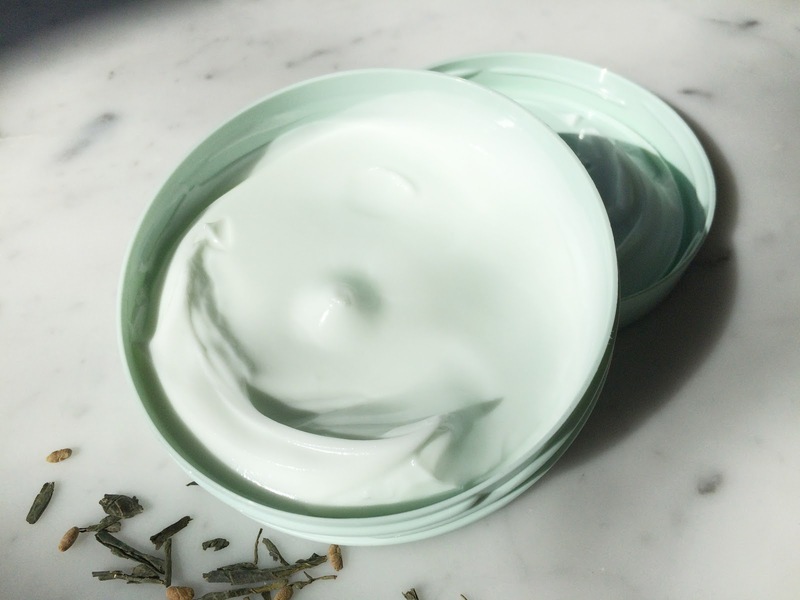 But it that doesn't mean it is less hydrating: after it is fully absorbed, my skin feels so amazingly soft, smooth & moisturised! 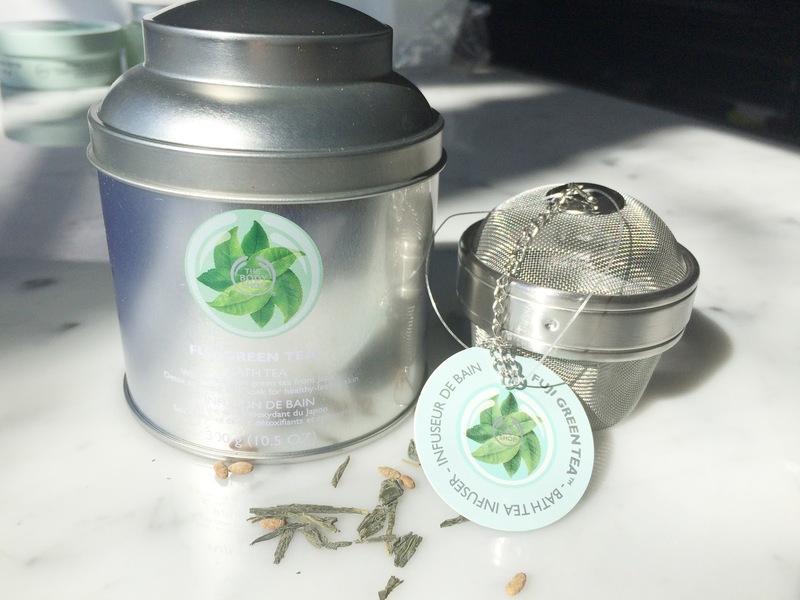 No dry flakes and leaves a subtle Fuji Green Tea scent! My skin still feels moisturised and soft for the next day. Even my boyfriend noticed that my skin was super soft! This eau de cologne smells a little bit different then the previous products. 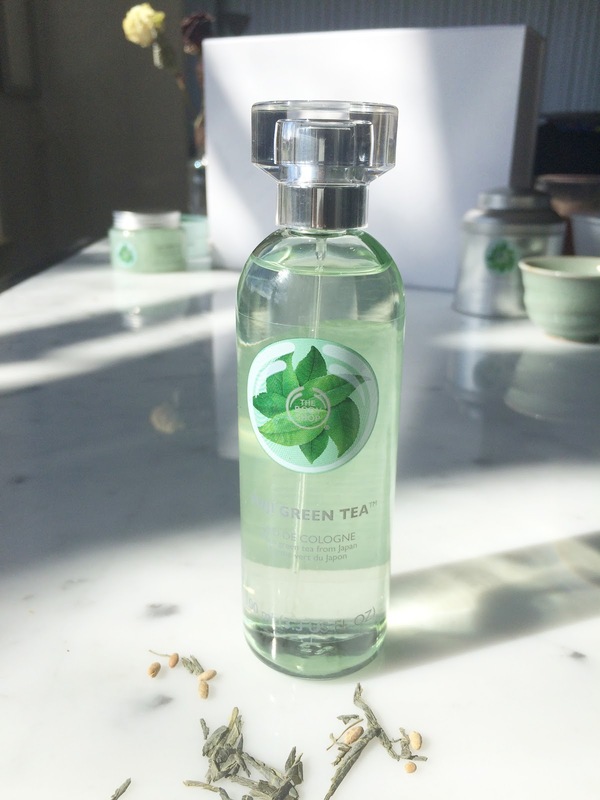 Not only it has green tea, bergamot and camellia, but also lemon, jasmine and violets. Therefore I find the scent even more deeper with a twist. It's still really refreshing. To finish it off after the Bath Tea, the Scrub and Body Butter, I sprayed the Fuji Green Tea Eu de Cologne behind my ears and wrists. 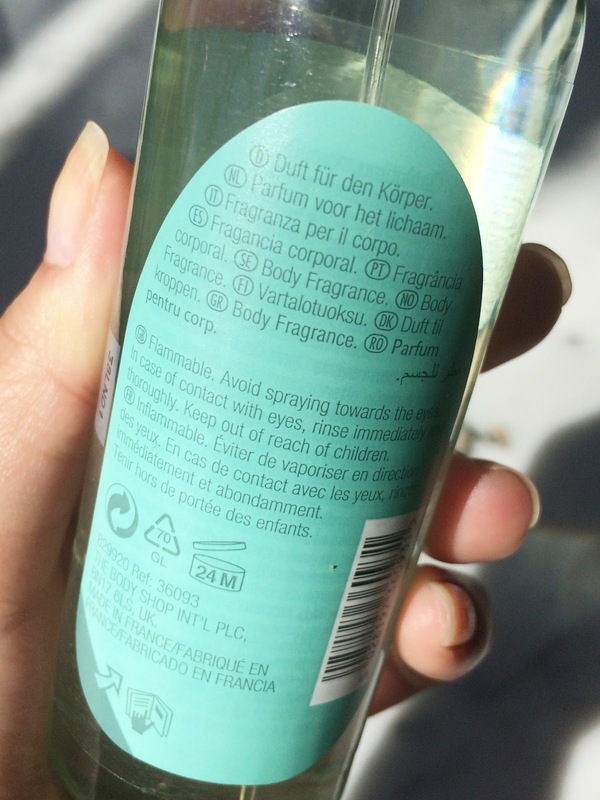 It has a subtle and deep scent because of the different ingredients. The scent is subtle and light and fades during the day. Do I like this line? Yes, definitely! 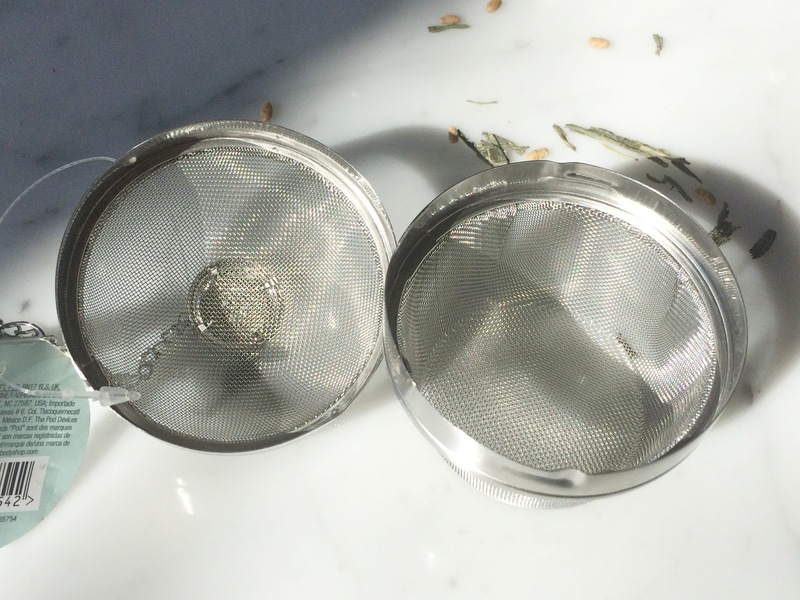 I have to say that the Bath Tea turned out differently than what I had imagine, but I really like the Infuser, which is great for DIY tea baths. Overall I really like the idea of the core ingredient green tea, in different kinds of body care products wrapped in beautiful packaging. The scent is very pleasant, because of its freshness. 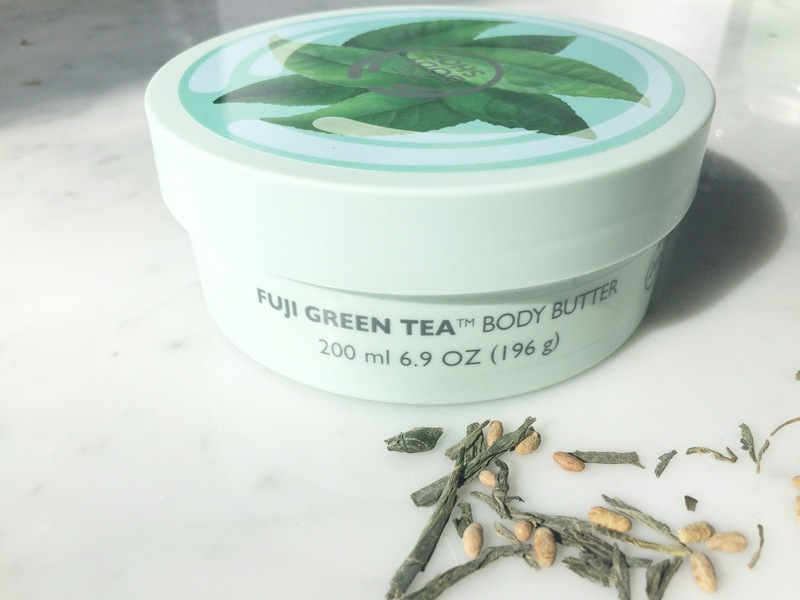 My favourites of these 5 would be the Fuji Green Tea Scrub and Fuji Green Tea Body Butter. This combination is just wonderful on the skin. This line is good for yourself, but also great as a gift. 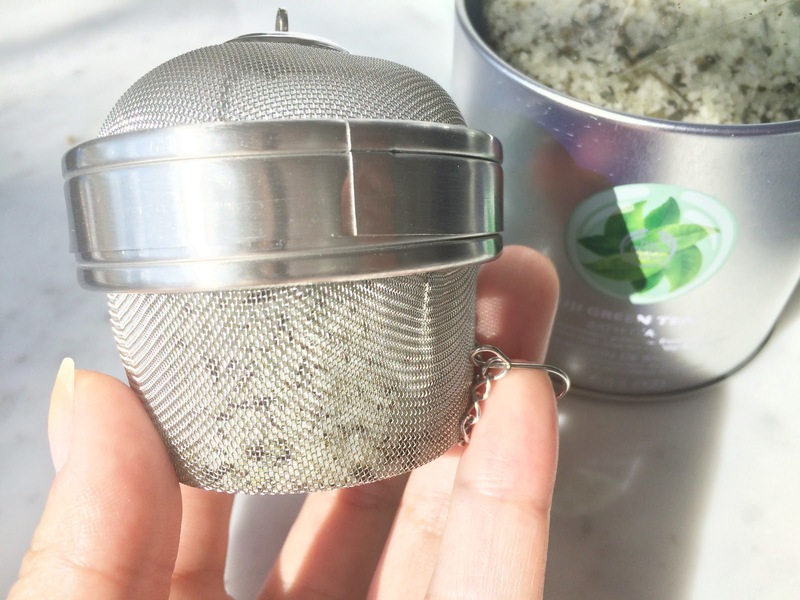 Nonetheless is the Fuji Green Tea Bath Tea with the Infuser really fun to give! They have a gift set wrapped in beautiful Japanese style packaging. 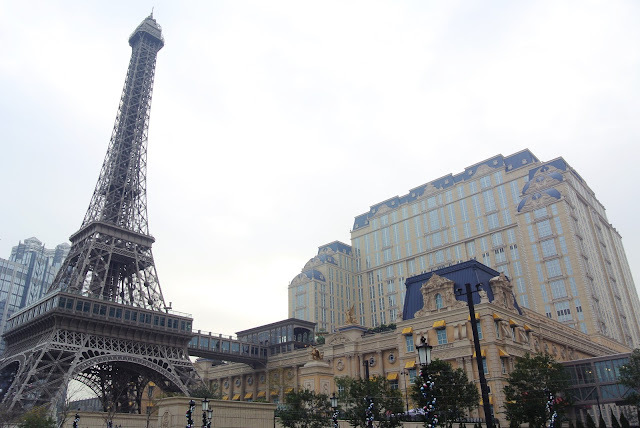 Worth to check it out! 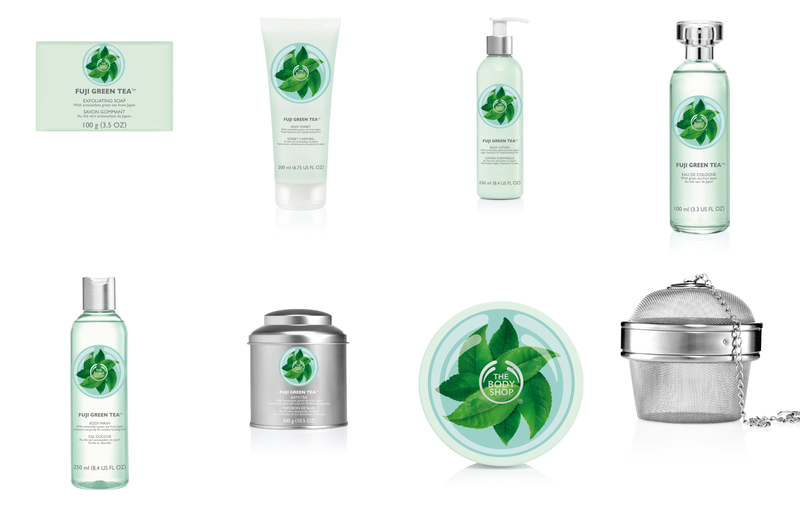 The Body Shop Fuji Green Tea line is available from 31 March 2015 in stores and online! *I have received these products. My opinion and thoughts are 100% honest. Please read my disclaimer.